Chiaro™ Screens are about architecture & design, materiality, craftsmanship, and product. 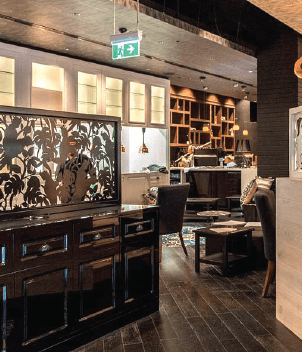 For the past 30 years design professionals around the world have relied on Di Emme Creative Solutions as collaborators in bringing their creative concepts to fruition. Di Emme Creative Solutions is a company with a diverse field of expertise and a long history in bespoke fabrication. 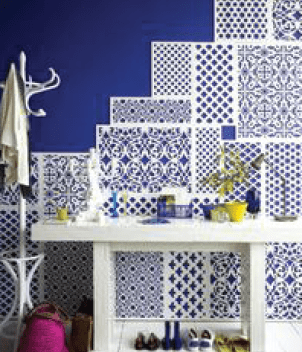 So whether a feature light, a water feature, sculpture, mural, paint finish, themed environment, Stonini™ clad wall or Chiaro Screen, the chances are you have experienced something, somewhere that Di Emme Creative Solutions has had a hand in. In 1998 The Directors of Di Emme Creative Solutions Pty Ltd, Vashti and Robert Gonda, identified a gap in the wall finishes market for a light weight, prefabricated wall cladding that offered texture and dimension. R & D commenced on the now branded Stonini™ Profilestone Panels. and Creative Powerhouse Pty Ltd was incorporated as the company entity to handle designer products. In 2009, Chiaro Screens was conceived as the latest designer offering by Creative Powerhouse. 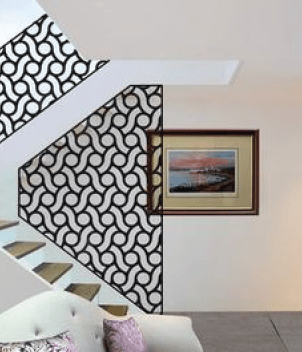 Following a trip to Broome WA, Vashti, a nationally and internationally recognized fine artist in her own right, created a series of Australian landscape inspired artworks and developed designs suitable for laser cutting and printing. Chiaro Screens are a beautifully complimentary product with Stonini™. 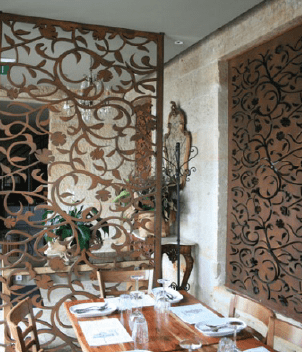 Chiaro Screens laser cut designs suit privacy and decorative screening, balustrades, awnings, feature entry doors and gates, shop fitting displays, garden screens, pergolas and laser cut wall art. The designs can be cut in a large range of materials – Aluminium, Stainless Steel, Mild Steel, Self rusting Steel (Corten), Acrylic, MDF and Ply. We can offer advice on which material is best suited to your purpose. As well as the standard finishes of Powder Coating and rust, we offer a range of aged patina effects. The design work for Chiaro Screens is done in Sydney then with state of the art laser cutting facilities in Victoria, NSW, SA and Queensland we can offer efficient production and economical delivery of your project or you can arrange pick up. Please contact us to discuss how we can help with your design requirements.